They serve as decorative blocks, but the goal is to have more storage space, leather, eggs, feathers, etc., take up a lot of space, and we throw them away. In the future I will add new compressed blocks. A special thanks to StalCraft2 (developer of the mod, coding and maintenance) since without it it would not be possible everything that we are implementing in the mod. Now it serves in multiplayer!! 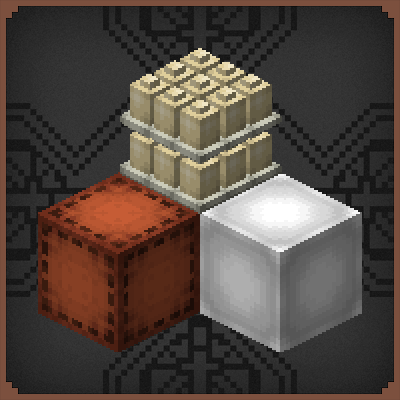 What blocks is it good to add? Leave your comment. Hmm. Might try restarting that. Been really wanting a fast travel mod that isn't silly. In my dev enviroment everything works fine, but I will look into the problem later. Did version 1.1 worked for you on the server? Wow! This is the first "MC Creator" mod that I actually like. Great job, I love your artstyle. I'm glad that you like my work despite the limitations, I was looking for something useful, without losing Minecraft's own style. E been a little busy, so I could not update it, but a good update of this mod comes. Sorry, I do not know anything about java. I was following a tutorial but when I installed the forge desktop in the exe I made an error and could not complete it. I was working on a mod that added a dimension, armor with mcreator but got pissed off when it wanted a lower forge dependency so I didn't continue on it. It was for 1.12.2 so how did you update it to 1.13.2? Just curious. Anyway, I moved on and not downloading mcreator at all. It's annoying, frustrating and hardly any tuts. I'd be better off learning a custom stuff 4 mod using json files IMO. 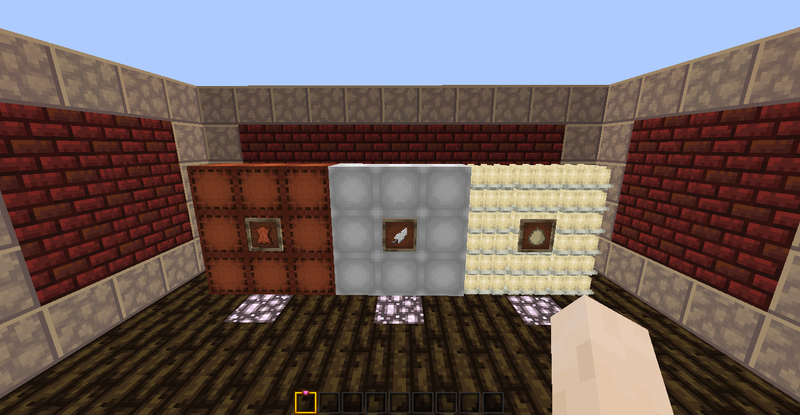 bundle should be made out of 9 or even more sticks (maybe like with nuggets 4x stick = bundle, 4x bundle = block). For sure that would be awesome to have coal/charcoal stackable like this (but also like bundles). Maybe 9 coal = pile of it (small pile/half block thing) and 4x that bundle = full block? Also planks and logs would be great for start! just a heads up that you should have an issue to something. Curse have one but you need to set it up first and was hoping to use this mod in my modpack and server. since it dose not work on my server i cant put it in my modpack. if you wanna move away from MCreator without learning Java, check out the mods ContentTweaker and Custom Stuff 4. I'll try them broo, thank you very much. Great an all but I don't think either let them edit existing stuff. Mcreator can't either sadly. Well it can if you understand custom code. I mainly wanted to add a dimension to the game with nothing in it. And only way to get to it would be tnt launching yourself up 500 blocks and tp'ing you to it. Then when you fall down it's the aether mod where you go back into the overworld. I had that entering of dimension that way done in mcreator mod I made but the exiting I didn't. Also the mod after porting failed to load in forge because it had required a forge dependency lower than the one I had. Plus that guy isn't very friendly, so I refuse to work with the creator anymore. Looks good. Is it server friendly?